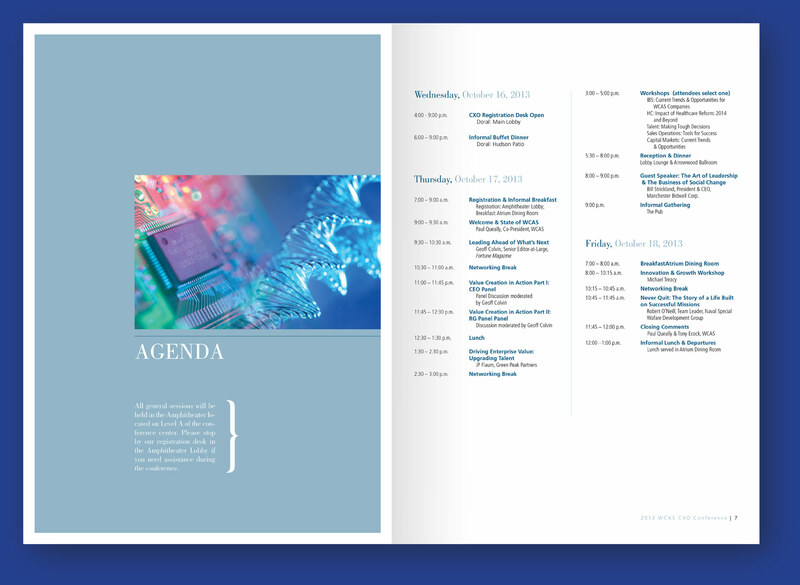 Finance, medicine, and technology find a visual home in this twenty page conference program—the perfect reflection of the WCAS portfolio. Welsh, Carson, Anderson & Stowe focus on investing in two growth industries, information/business services and healthcare, primarily in the United States. 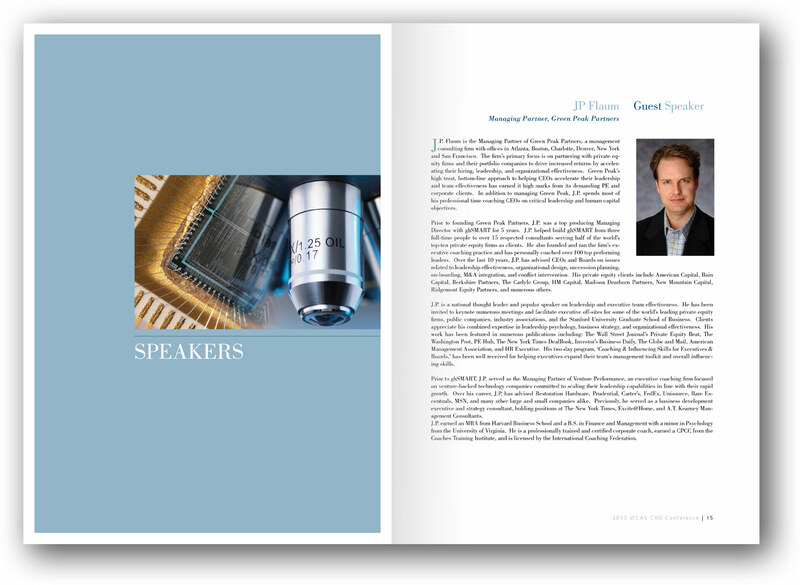 WCAS holds their annual executive conference in Rye, New York and needed an elegant conference program for their attendees. This year, however, greater attention was paid to the merger between their distinct portfolio holdings, a fact which is reflected in the design and creative direction of the program itself. 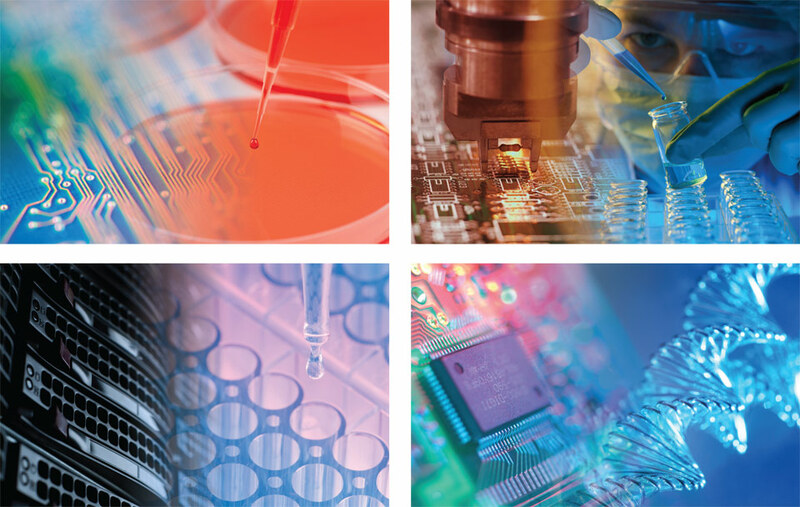 Just like WCAS itself, the conference program represented a real design melting pot, mixing the elements of technology with medicine with finance. In order to provide visual interest and conceptual continuity we created a number of photograph-based illustrations which literally blended the disciplines. The typography and layout was tasteful and refined. The end product, like the conference, was a huge success.